This predict-o-gram includes three lengthy columns of vocabulary as it relates to the story "I Need My Monster". Columns could be separated into three individual lists by cutting vertically. 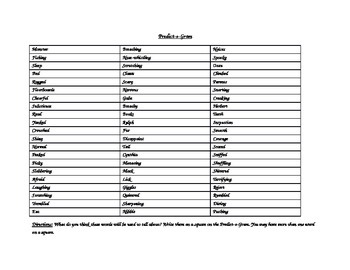 Each list could then be distributed among groups of students who use a communal predict-o-gram sheet to place the vocabulary in the context that they see fit.